If you would like to support our mission, click here! To give anonymously, click here! The IGM Genomics Center offers Next Gen sequencing services including sample QC, library preparation, sequencing on Illumina and PacBio platforms, as well as Illumina Bead Array technology. 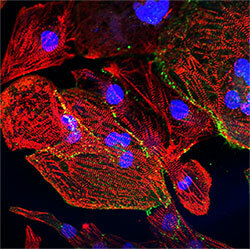 200 lines of iPSCs and iPSC-derived cardiomyocytes are available for purchase. Click Here for more information.